THE ULTIMATE LONG-DISTANCE OFF-ROAD ADVENTURE. 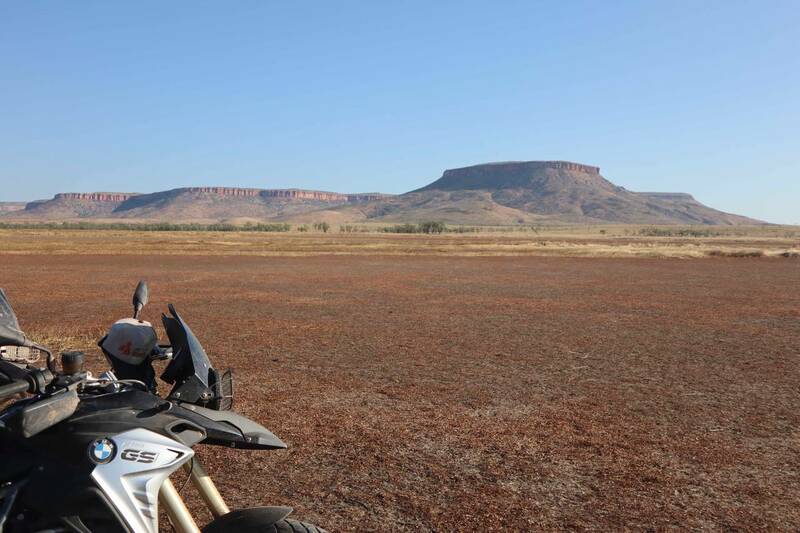 This epic voyage across the Northern Territories of Australia is the ultimate off-road adventure ride. The big one. Our Australian Savannah Way off-road tour is our biggest adventure yet, taking in stunning sights, roads and trails as it winds from Cairns through Darwin to Broome, East coast to West coast across Northern Australia. The check-lists of sights and locations along the way is incredible, as we pass through the World’s largest lava tubes, Nitmiluk, Kakadu and Lawn Hill national parks, Home Valley, Lake Argyle and Gibb River Road. This trip has long been on Simon Pavey’s wish list and with good reason. This amazing 21-day adventure motorcycle ride takes you on a wonderful mix of dirt tracks and roads; accommodation is quirky but luxurious, with some camping in the remote areas. Lead by our own Dakar legend Simon Pavey and supported by award winning Compass Expeditions, this is an epic ride through the wilds of North Australia – seas, tropics, deserts and bikes. As you know I have enjoyed the privilege of 2 trips to Spain and the totally awesome Savannah Way Australia adventure. During these trips you and your team demonstrated unparalleled enthusiasm, professionalism and friendship. At no point despite at times very long tiring days did this diminish. You and your team offer good counsel when required, just the right amount of pushing to limits... encouragement and always incredible good humour and patience. Everyday you take us to incredible places, we ride fabulous roads surrounded by stunning vistas. You quite literally turned dreams in memories. Thank you.